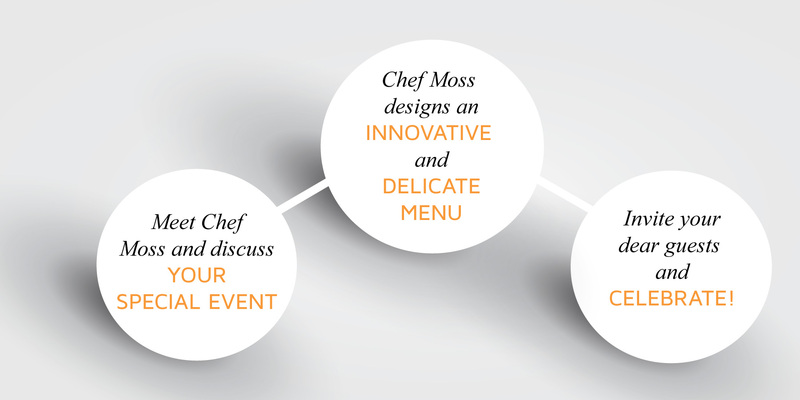 Chef Moss is happy to design your memorable dinners and celebrations. LSW will organize your initial meeting and serves as a liaison all through the process and until your special Day. Fees: $1000/day for an event. (does not include produces). Small private parties can also get accommodated; please enquire for fees.